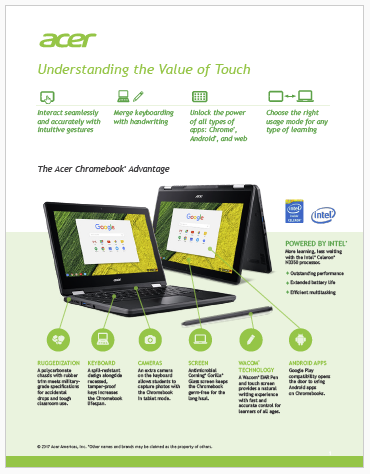 Over the past few years, the appearance of touch-based, convertible laptops is beginning to change the definition of effective learning with technology. With a touchscreen and a stylus, students interact with their devices much as they would with paper and pencil. At the same time, students can leverage the full power of digital resources and connectivity to improve when, how, and what they learn. Download this full white paper to explore how neither a traditional laptop nor a stand-alone tablet alone can meet the many needs of the typical K–12 student.